Hamunaptra, is it Real or Fiction? 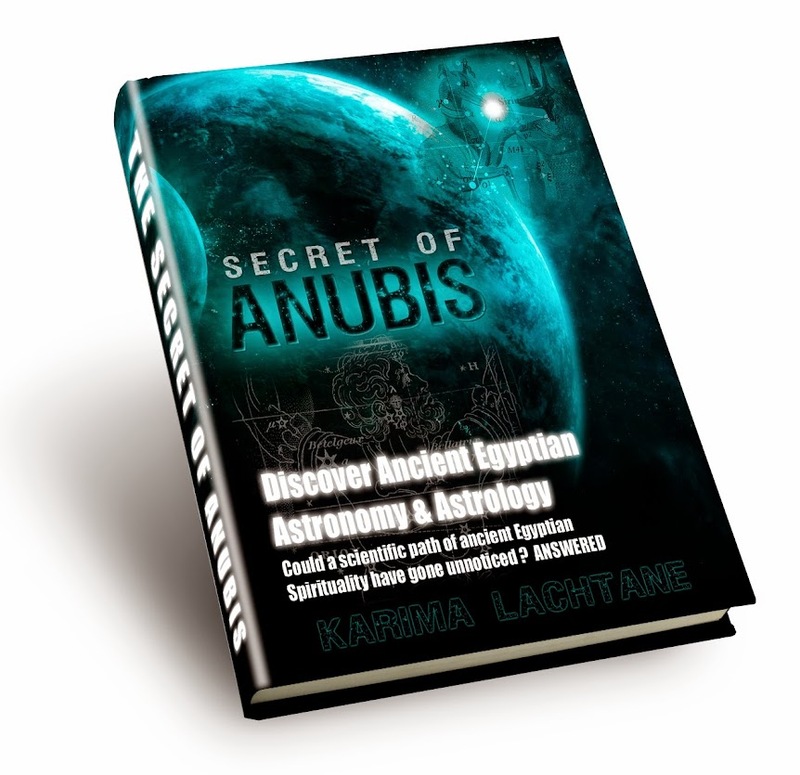 Does the Anubis Army exist? The movie, the Mummy has taken a lot of people upon a journey into ancient Egypt, or did it? Was there really an evil priest named Imhotep, and did he go against the Pharaoh (king)? These are some of the questions taken up in this short blog post. This movie is one of my favorites, I am not so keen on the last one, probably because it isn't in Egypt. But it is a good movie just like the first one. The Mummy was directed by Stephen Sommers, he also directed the movie Catch me if you can with Leonardo DiCaprio, another good one. I really think that the movie is one of the best ones about ancient Egypt. I must admit I had hoped for more, in the same adventures style, but with other aspect of the ancient Egyptians. There are so many to pick from. But this part of the movie is a kind of fiction, because it is said that a city in India was named Hamunaptra. In the movie the city of the dead, could not be seen, only on specific times. There could be some truth to this, because desert sand and its environment is able to fool the eyes, and building in the colors that they did, this could be possible or seem like it. The Valley of the Kings and Queens, was hidden, but since it has always had some tombs opened/found, it has always been known about. Yes Imhotep existed, but we have to go back to the ancient Pyramid builders, before we find him. Imhotep is much older than the other characters used in the movie. He was not an evil priest, actually I would say the very opposite. He was a remarkable personality of ancient Egypt, and his being is swept in a mysterious scarf. He was a loyal and dear friend of the Pharaoh (king) Zoser. In the Second Mummy movie, where the Scorpion king made a deal with the god Anubis, in exchanged for the king soul, Anubis would grant endless power. In the real historical records, there is a hint of something a like. While walking in Karnak temple one day, I stumbled upon an interesting relief. A lot of Anubis characters walking in straight line, like in a march, and on the opposite side were a straight line of Horus/Ra gods. 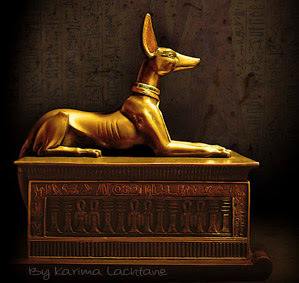 In ancient Egyptian mythology it was believed, that they could call his power forth, and that all the gods and goddess could aid him, in the same form as Anubis. In my guide book A magical guide to Luxor temple its revealed where one was found, and where most of the objects from this treasure can be found. Most of the movies are fiction in some sense, yet it is well mixed with real people from ancient Egypt, but they are not portrayed in the correct manner. Very nice the way you deal with the movie. Actually there is a king scorpion in anciant Egypt. Off course I know that there was a scorpion king. There was also a real girl/woman named Anck-su-namun (just spelled differently), and Nefertiti, as I partly stated in the blog – But how the characters were used, is fare from the truth. Just the existence of Imhotep and Nefertiti in the same time line, is very wrong. The scorpion king portrayed in the movie can have little to do with the real Pharaoh named Scorpion, because of the lack of real history-facts around this ancient Pharaoh – but it will come. You should check it out, it is good! There are so much we as a collective could do, and yet no one does it…. This tragic of water and hunger, and no one doing anything (only 1-4% of people are really involved with these situations) – it always makes me speechless and very angry. Indeed it was very entertaining. Yes I am very serious regarding ancient Egypt and its history. But this blog post was only to show some fact vs. fiction. you are right in that they are dead, now. But you are absolutly wrong in stating that some of them wasen't a legend - especially considering Imhotep, who was so loved even by the ancient Greeks, that they all raised him to the Gods position - but som of the characters are indeed legendary. And I would never call them normal people like us.. (we are in today's world not that normal... - filled with imbalances).. I would personally say, that we have no real education in today's world.. The movie is just a fantasy, as far as I know mummies have never become animated and come back to life (and just as well). An enjoyable adventure and lucklily I don't know enough about egyptology to be irritated by the lack of realism and the glaring inaccuracies. Who said anything about being irritated?! Like I state upon the image in this post it is one of my favorite movies of all time! Some people have asked me about this, so I thought it would be a good post, for ‘those people’ who wanted to know about the fact and fiction behind the movie! And you right mummies have not stood up and walked around among us, but the ancient Egyptians believed that it could be possible for the right priest to raise them (the most knowledgeable priest). Hello. I had never seen that movie yet. But over all your blog is nice. I had followed you. There are to many Gods, mummies, lords and stuff like that. Are you saying that imoteph existed? Did he really existed? There are so many religions and so many versions of those stories.. that makes me sick everytime i think about them. You are right, there are many of everything, pretty much like in today's world. Yes I am saying that Imhotep really did exist (Let me correct this; No I do not say, it is Proven on temple walls and sculptures that he did exist). The Greek went so fare as to raise his to the level of a God. It makes you sick.....wauw... I've never heard that before. Well I hope you have a nice evening or day. I absolutely love anything to do with ancient Egypt and the Mummy has got to be one of the best movies portraying it. The informatin you have put up here is really interesting and if you cold recommend any books on the characters from the movie that would be great ive already looked into King Tut a little. Fay - I am also interested in fiction books set in Egypt. Although these are not specifically about the subjects in "the Mummy," they look good. Check out books by Elizabeth Peters (set in Egypt), and also a trilogy by Paul Boherty. I am not sure what the person meant (other blog comments) about the stuff making them sick, I hope he/she meant "dizzy." :-) Thousands of years of history can be....overwhelming. Most of the movie was Hollywood, there was an Imhotep and he was the Pharaoh's high sem and an architect during the reign of Djoser in the 3rd dynasty. Ankhesenamun was actually the sister wife of King Tut during the 18th dynasty, so there was no way Imhotep and her could be lovers. And Seti the first was Rameses father during the 19th dynasty. Scarabs are not flesh eaters, they are in fact dung beetles. The book of the dead is not a real book, they are lists of spells written on papyri scrolls to ensure the deceased would make it to the Duat. The Egyptians had four canopic vases, not five and they would not remove the heart because they believed the Ib controlled the body's movements, even though we know it is the brain. So, the movie is a little in accurate. But it is a good movie!